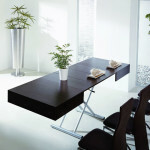 We have compiled a list of table prices from Calligras, Resource Furniture and Expand Furniture. 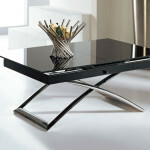 All three companies offer high quality, multifunctional space saving furniture. 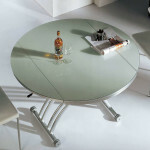 While multifunctional table options are similar from the three companies pricing appears to vary widely and some prices are not listed online or very difficult to find. 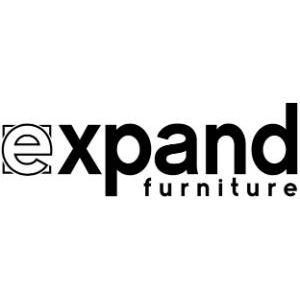 Expand Furniture lists all of their prices proudly online as they have some of the most competitive prices in North America for Smart Furniture. Calligaris generally seems to list prices at select stores and cities, for example their Toronto store has its prices openly listed on their company website. Resource Furniture appears to prefer to not list their prices online, but will give out prices once you have had a demonstration in store or at trade shows. Here are some rough estimates on price. Links are provided where we could find them to products. It needs to be noted that prices are subject to change and the prices of Resource Furnitures products are from other blogs, websites and in person quotes, so they may vary. If you need more up to date accurate quotes from any or all of these companies, I would suggest emailing or calling them directly. Lastly if you know of any updated prices, or have a more accurate price or shipping costs from either of these companies please let us know and we will try and update this list. 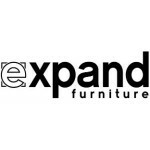 It is fairly easy to get a rough idea in the varying prices by searching through Expand Furniture’s website and comparing with Calligaris’ website. As expected their prices online will likely fluctuate so our static page here is for reference only. Both openly list their dimensions, options and detailed photos making it a breeze to understand. 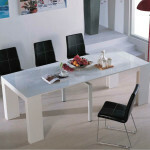 Resource Furniture’s prices are more difficult to come by, and I have found often people guess and post lower prices on blogs than the actual prices, as a very rough estimate they are comparable or slightly more expensive than Calligaris and roughly 2x the price of Expand Furniture. Please take all estimates as starting points for your research and rough at best due to market fluctuations, promotions and other activities. It is important to do your own due diligence and make informed decisions based on your knowledge.